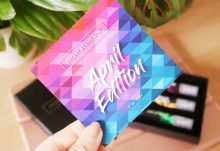 Fans of the Korean beauty trend of sheet masking will love Mask Time! 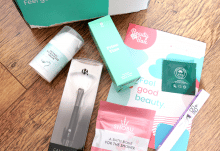 This specialist subscription box sends you a selection of authentic K-Beauty sheet masks straight to your door every month. With two boxes to choose from, the small Glow Starter (4 masks) and the bigger Glow Setter (8-10 masks), Mask Time has something for everyone’s skin care needs and budgets. 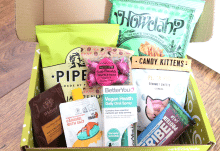 The latest Glow Starter box from Mask Time arrived a few days ago and I was excited to see what was inside. It has a lovely rose theme and I love the new style boxes! The first mask comes from a brand called Hey, Lo, and this Calming White Mask contains Milk Protein extract and Mushroom extract to hydrate the skin and lock in all that essential moisture. This is a good one to try if you have sensitive skin as the antioxidants help to heal and reduce any irritation or inflammation. 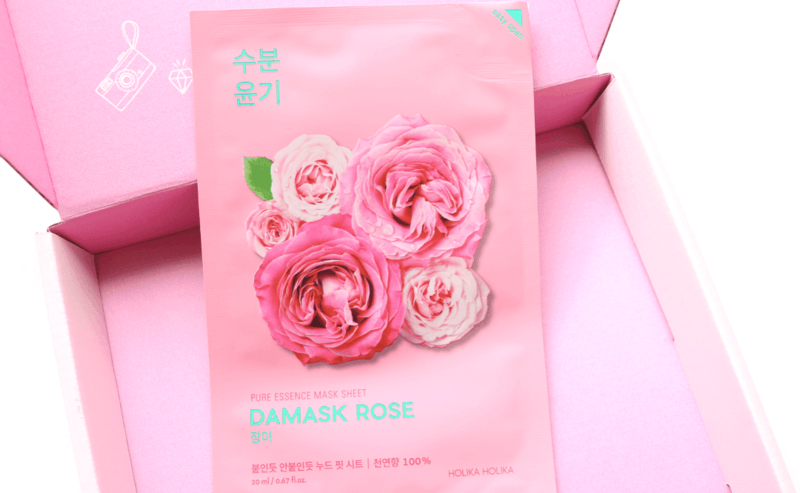 From the popular Korean beauty brand Holika Holika, this rejuvenating sheet mask is brilliant for those who want an anti-ageing treatment and features Rose extract as its star ingredient. Great for moisturising, reducing irritation and clearing up any impurities – a fab all-rounder for everyone! Packed with a special fermented essence that features Lotus extract to help balance out oily skin, this mask also hydrates and improves the elasticity of the skin. Bamboo extract has been added to help purify the skin further and prevents any moisture loss, so if you have oily skin, this is perfect for you. 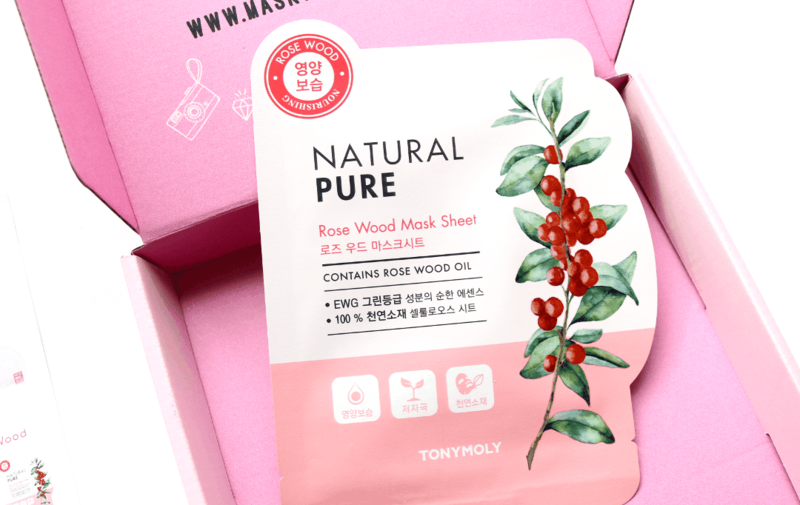 The last mask is from the super popular Tonymoly and their Natural Pure Rose Wood Mask Sheet is made from an incredibly soft material which is infused with Rose Wood Oil to provide long-lasting moisture for parched skin types. There’s also Lavender, Eucalyptus, Rosemary and Tea Tree to improve elasticity, brighten the complexion, treat blemishes and calm any irritation. 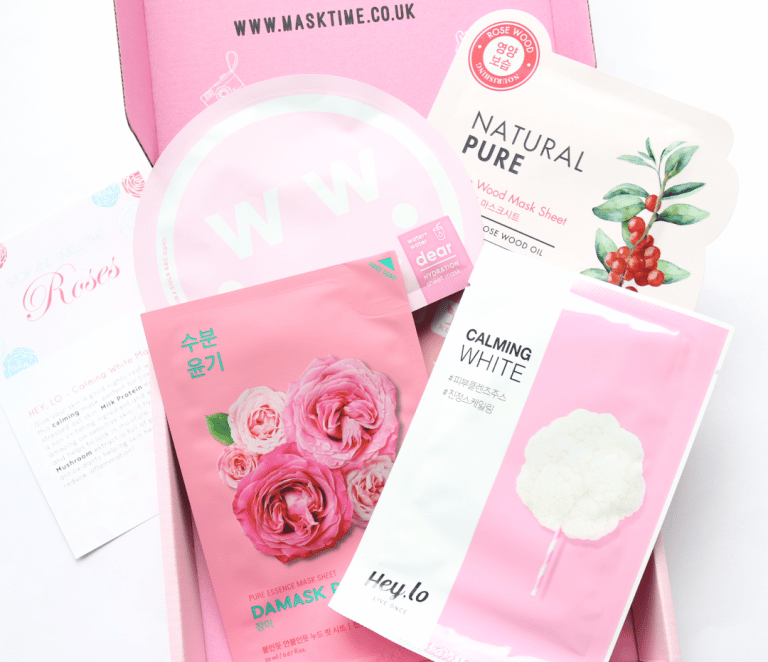 The Glow Starter boxes from Mask Time offer brilliant value for money and are perfect for anyone who is new to the K-Beauty sheet mask trend!